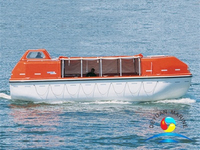 SOLAS Partially Enclosed Lifeboat use on cruise ships, ferry and passenger ferry. 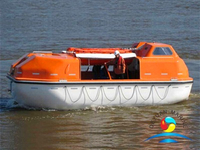 SOLAS FRP Partially Enclosed Lifeboat can raise and load by gravity luffing arm type davit. Compare with the totally enclosed lifeboat .Partially Enclosed FRP Lifeboat is lighter than it and more accessible when emergency happened .The two sides of Partially Enclosed Life Boat can be closed with a foldable cover.The Marine Partially Enclosed Lifeboat lower by using a simultaneous release lifting hook. 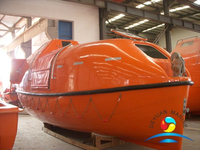 Deyuan Marine High Quality Lifeboats are designed, constructed and tested according to the latest Standards and Requirements of " SOLAS " and " IMO " and " LSA " Code. 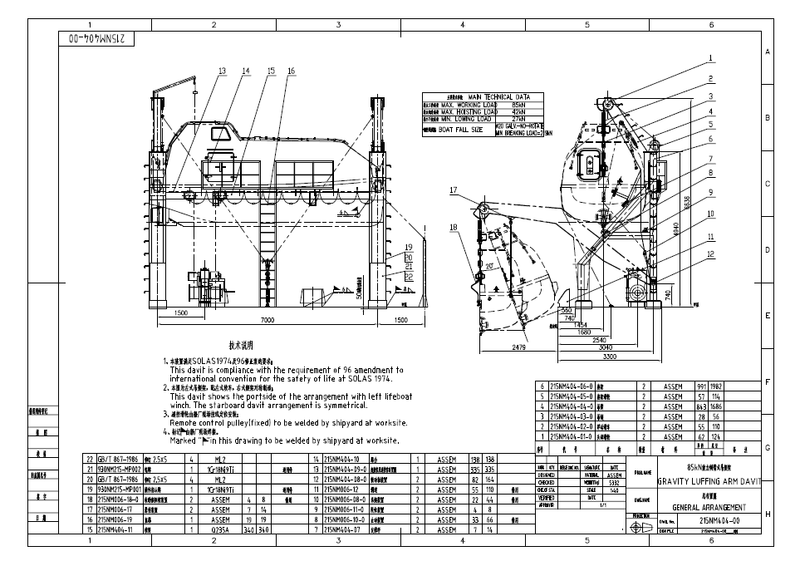 Our FRP Partially Enclosed Lifeboat With Davit too .If you need more information of Partially Enclosed Lifeboat Davit please let us know .Below is the data sheet for your reference .